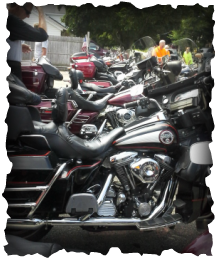 Ride to support Life in the womb! The SOUL Ride is a motorcycle ride to raise financial support for the vital work of WELS Lutherans for Life and the local pregnancy care centers they operate. ​Online registration is now closed. Please register at the event. This motorcycle ride is for the Sanctity Of Unborn Life! WELS Lutherans for Life... saving the life of a child, transforming the family from at-risk to thriving, and doing it all again tomorrow! For information about the organization, please visit www.ALife2.com.